8800KM driven. Self imported in November 2015 and registered in December 2015. I went to sharda ,azad jamu Kashmir from Lahore via Abot abad, manshera, muzafarabad. as I reached to abotabad and started driving uphill traffic was jammed and was very slow ,after driving uphill in very slow traffic a message came on the screen in Japanese which means " TRANSMISSION HIGH TEMPERATURE:PLEASE STOP IN A SAFE PLACE". after that message car stopped going forward but engine was running. I switched off the car in the middle. and checked few things like coolent battery oil wiring etc in a wild after about 10 minutes I started car again which was ok so again I stared travling uphill after about 15 to20 min drive the message came up again I switched of car . stucked in the middle of road in a traffic jam, people started giving me tips but nothing use full , It happend three times ,10 min rest was giving me 20min drive ,so I reached abotabad city.parked my car in hotel. no work shop was open and mechanic was available and local mechanis did not knew about vezal. I called my friends back in Lahore and got tips. 1) took off negative terminal of battery. 2) opted SPORTS option and drove car on L on up hills sections. in there openion fault came up due to I was driving on D on uphills I should have drove my car on L on entire uphill driving. your suggestion will help me in taking right decision. 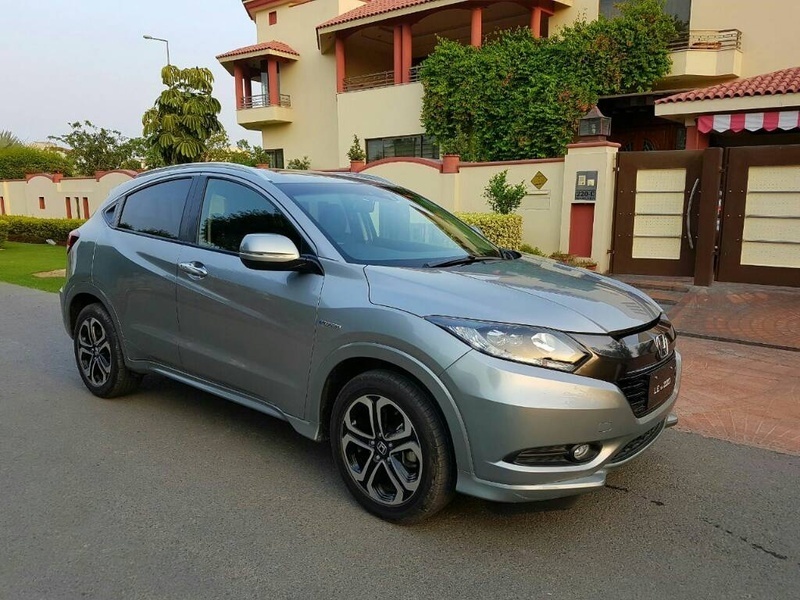 The Honda vezel users the dry type duel clutch transmission so it's a fault in your driving style. Here's a video on how you should use the transmission. It is a bit strange. Vezel is great while moving uphill. few days ago, I had a trip to Nathiagali via abbottabbad. From abbottabad to Nathiagali, it was a very steep slope. I drove in sport mode at D with AC. it was a great experience. I enjoyed the ride. The way it moved/ascended uphill, I felt that Vezel is better than any other car I found on my way. How many people were in the car and luggage and AC ,pls don't do that.. Sports mode is a good idea because the lowest gears possible is selected and all sorts of eco modes are disabled.I had other people complain of it aswell. I would be able to get a white 2016 zero meter z trim in karachi. I will not self import it, dont have the patience to wait 2 months for the car. Also how does the drive of vezel compare to 9th gen civic? 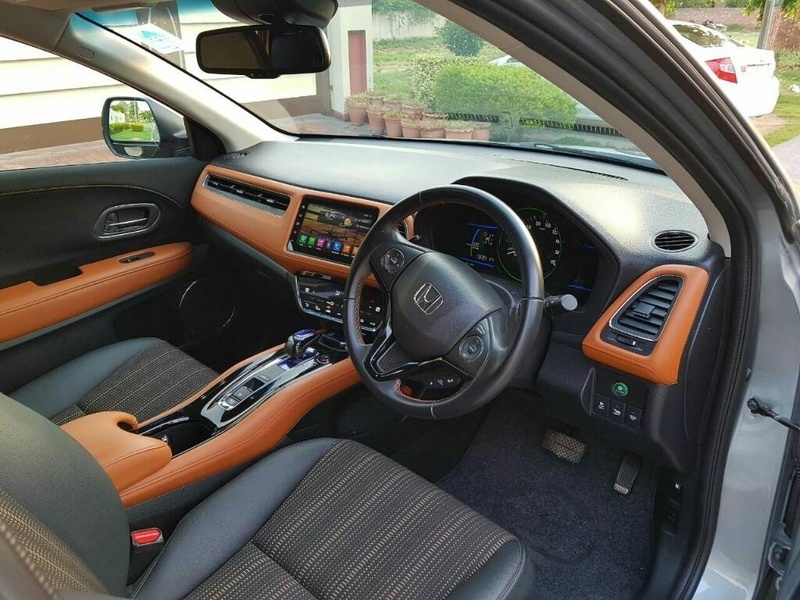 Dear, buy zero meter Honda Vezel Z,Pearl white is out class color with lavish orange interior and extra extra ordinary features. Comparing 9th gen civic you will forget civic if you will use Sports driving Mode of Vezel :D.
I've recently bought Vezel Z Package AWD. Apart from stiffer suspension the vehicle is of top class. Just to let u guys know, me too, was opting for Civic X & now not regretting that I didn't buy that. Well, coming too the point, dis vezel is equipped with Gathers VXM-145 VFEi Multi Car-AV System. 2nd, I'm still unable to find SD card slot, USB, HDMI & iPhone/iPod connecting ports. Though I got succeeded to connect my phone through Bluetooth for music. Can anyone guide me to resolve any of the issues please? So far six thousand driven. 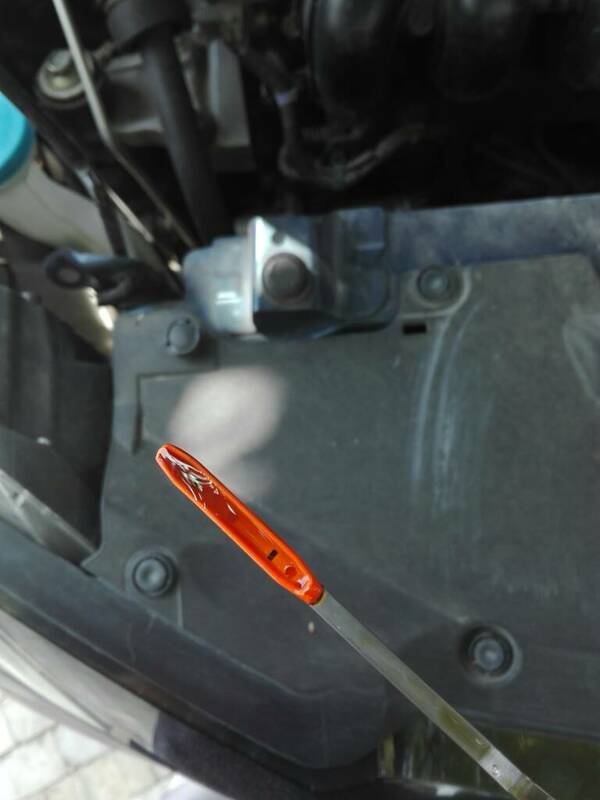 The oil is clean and it has no grit , the thing is that if its clean it means engines clean thus filter should be good?